2017 | Archive | LagosPhoto | International art festival of photography in Nigeria. The 2017 edition of LagosPhoto Festival called on artists to reflect on these regimes of truths and beliefs, and the fading relevance of the quest for reality in our time. Contemporary photography is the new repository of the fading quest for reality, not by virtue of its supposed freedom, but because it embodies the synthesis and unmasks the contradictions of the knowledge society and its imperative for creativity. It is our point of interdependence and the most democratic tool for social engagement today in the sense that almost everyone can make pictures and share using smart phones. This aspect of active imagination and creative ingenuity is often concealed by their rhetoric of truthfulness and their claims of veracity. It is this tension between evolving inventiveness and dissolving dogmatism that fosters knowledge and has linked both disciplines forever. But the ligand that binds both photography and science is also faith, an active faith that enables action and confidence to make bold predictions about the future. This is because the viewer must be seduced and then engage to believe. Without the suspension of disbelief the work falls flat and is therefore meaningless. Over the last century a number of writers and thinkers have predicted our contemporary society’s information and knowledge quandary: Achebe, Flaubert, Huxley and Orwell being germane examples. With the improving affordability and influence of the print press Flaubert believed that newspapers were spreading idiocy and mental laziness a combination he crystallised into one word — la bêtise. Flaubert railed against the situation where populations were told what to think and wore these received opinions like fashion to be displayed at every opportunity. Orwell was concerned that books would be banned and society would be deprived of information but Huxley went further and was concerned that there would indeed be little reason to ban information for in the superfluity of information and saturation of falsehood the truth would be less palatable and more obscure such as to be irrelevant and unwelcome. Alternative facts are much preferred. With Achebe we are only assured in one essential truth: for the African we must find our own truth. 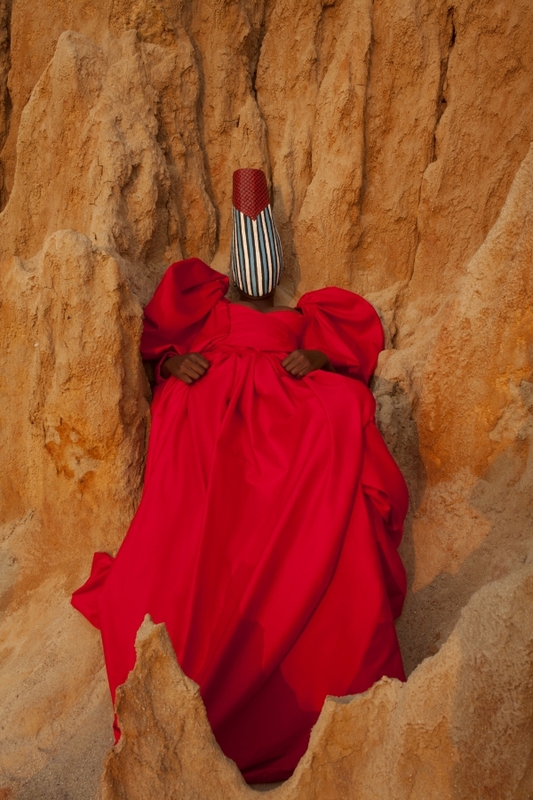 Celebrated for showcasing never before seen series, the eighth edition hosted the world debut of recent series including; ‘Black Pope’ by recent Infinity Art Award Recipient, Samuel Fosso (Cameroon) and ‘No Touch Am’ by Osborne Macharia (Kenya).